Do you wake up excited by the smell of eggs and pancakes for breakfast with a glass of juice in the morning? Recent research, as well as the examination of human evolutionary biology over the past 200-300 years, have allowed us to come to some amazing conclusions about our food consumption and the times allotted for eating food. Today I want to bust some myths that are commonly held beliefs by the majority of North Americans. The editor of this magazine was a medical doctor by the name of Dr. John Harvey Kellogg. Yes, that’s correct. That KELLOGG, the co-inventor of flaked cereal. And while his intentions may initially have been good, he undoubtedly had some level of ulterior motive to make this phrase so well known – to sell his products. Now I doubt that even Dr. Kellogg could have foreseen what happened to the popularity of cereals and breakfast, however, the original article did not speak of cereal, eggs, pancakes, and juice but it did recommend a lower calorie meal that is easily digestible. It was also recommended that the entire family partake in this meal together as a great way to start the day. No doubt, the origins of this phrase do lead us to question the motives behind this commonly held belief. We’ve all heard television ads speaking of “a complete breakfast” while showing us a full set of dishes including cereal with milk, a stack of pancakes, 2 pieces of toast, a glass of juice and a glass of milk. I too took the plunge and was “Cuckoo for Cocoa Puffs” during my childhood. Here’s a throwback to those Cereal Ads. Once it became apparent that adding tri-colored marshmallows to a processed wheat-based cereal, and drowning it in half a gallon of fat-reduced processed milk, for my first meal in the morning was leading to increased blood sugar and other health issues, it was apparent that a change had to be made. Initially reducing the size of the meal and the sugar content of the meal, followed by blending natural fruits and vegetables together for a smoothie which was certainly a better option. I have since made another change – cutting out morning breakfast completely – and my energy has never been better. This is called intermittent fasting and it is an amazing way to start your day! Humans have not evolved over the past 200,000 years. Homo sapiens, our given scientific name began to show up hundreds of thousands of years ago. They lived as hunter-gatherers (although I believe it should be gatherers first, not hunters). They evolved to live off the land, gathering and storing what they could but generally eating freshly gathered and hunted fruits, vegetables, and meats. In an evolutionary sense, none of the food they were eating was ever processed, it was simple, whole-foods from the ground that they hunted and gathered. Hunger was a feeling that came when nutrient status was low and we needed to get some more nutrients into our bodies – however, we did not simply go out and purchase what was convenient. Early humans went through significant periods of feast and famine. Our bodies are genetically built to feast when food is readily available and allow us to survive during times of famine. Fortunately, we no longer have significant bouts of famine in developed countries anymore, but we are still feasting all the time. A little hunger is okay – in fact, it is quite healthy for us. It allows us to become more mindful and reminds us to be grateful for the food and nutrients that we are given. Here’s a quick and easy way to overcome some of that mid-day, between meal hunger that comes up for so many of us – DRINK WATER. Our bodies need more water than you realize to perform many tasks in our bodies. Water is the greatest tool we have in order to fill our stomachs and ensure that bodily processes are working. Instead of reaching for a protein bar, keep your water bottle beside you and take a few sips every time you start to feel hungry. Generally, the only people that should eat a meal prior to noon are those who will be performing significant physical tasks during the earlier part of the day. Athletes are a great example. Their cells require nutrients to increase energy production and metabolism. Digestion itself requires a lot of energy and nutrients. When we eat, we take blood flow away from our brains and muscles and move it towards our gut. This requires and leads to a significant expenditure of energy and depending on what foods you are eating, energy levels can actually decrease. If you are not moving physically to use the calories and nutrients you have eaten, then your body goes into a storing state and keeps everything stored for later use. This leads to increase in body fat, insulin resistance, and cardio-metabolic disease. 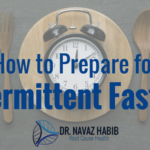 Intermittent fasting is an amazing tool for the prevention of cardio-metabolic conditions and can help spark improved energy levels throughout the day and over a few weeks. If you are interested in learning more about Intermittent Fasting, CLICK HERE!